The Adventurous Lectionary, Pentecost 21, Bruce Epperly, Living a Holy Adventure, 2015. "Saving and Losing One's Life/Soul," D. Mark Davis, Left Behind and Loving It, 2015. "Great Service / Power to Serve," Kathryn Matthews, SAMUEL Sermon Seeds, etc, 2015. Ministry Matters, October 18, 2015. "James and John call 'Shotgun!''" D Mark Davis, raw translation and exegesis/questions, Left Behind and Loving It, 2012. Points for Preaching and Teaching, The Lectionary Lab, Proper 24B, the Rev'ds Dr. John Fairless and Delmer Chilton (aka "Two Bubbas and a Bible"), 2012. Lectionary Notes, Beth Quick, 2012. Process and Faith Lectionary Commentary, Proper 24, 2012, Bruce Epperly, "...bringing process-relational thought to people of faith." Girardian Reflections on the Lectionary, Proper 24, by Paul Nuechterlein & Friends. Jesus Now, Proper 24B. Lectionary, study and worship resources from Faith Futures Jesus Then & Now. Rumors, for October 18, 2009, Ralph Milton, "Sermon helps for preachers with a sense of humor." "The Ability of Ableness," Karoline Lewis, Dear Working Preacher, 2015. "Who Will You Serve?" David Lose, ...in the Meantime, 2015. "In the Name of What?!" Beth Kawasaki, The Journey with Jesus, 2015. "Helpless before the Throne," Jessie Larkins, Ekklesia Project, 2015. "Falling Down, Letting Go: The Triumph of Job," Anna Shirey, The Labyrinth Way, 2015. "Guns, Drugs, Sexual Violence: What Can We Do?" Mihee Kim-Kort, ON Scripture, 2015. Includes discussion questions. Video: Until You Love Yourself; Prostitutes Reclaim Their Lives. 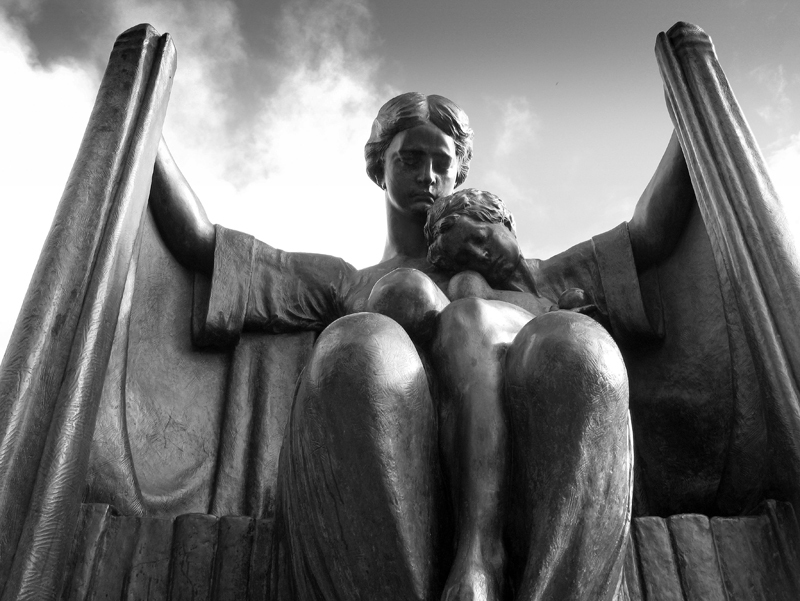 "What Job and God Learn from Each Other: Prophpetic Grief Meets Prophetic Beauty," David Henson, Edges of Faith, 2015. "The Politics of Service," Alastair Roberts, Political Theology Today, 2015. "Power and Suffering," Eric Smith, LECTIO, 2015. "Cup of Suffering," Suzanne Guthrie, At the Edge of the Enclosure, 2015. From the Whirlwind, Lynn Miller, Art & Faith Matters, celebrating our creative and living God by generating art and architecture resources for congregations and individuals. Art and Faith Matters facebook page contains additional resources. "The Next Level," David Sellery, 2015. "Servants of God," Sermon-Stories, 2015. "Seats of Power of Place of Service?" Robert Cornwall, Ponderings on a Faith Journey, 2015. "James, John, Jesus and my Great Aunt Esther," Janet H. Hunt, Dancing with the Word, 2015. "On Being Made Able," Thomas Beam, 2015. "Job to Jesus: Transcendence and Immanence," Peter Lockhart, a different heresy, 2015. "Servants of God," Glenn Monson, Law and Gospel Everywhere, 2015. "Last Place Winners," Sharron R. Blezard, Stewardship of Life, 2015. "Shhh! Why Don't You Let God Talk?" Journey to Penuel, 2015. "Not to Be Served but to Serve," Andrew King, A Poetic Kind of Place, 2015. "Is It Possible to Govern 'Biblically'?" Matthew L. Skinner, ON Scripture, Odyssey Networks, 2012. "Glory, Glory," David Lose, Working Preacher, 2012. "Cheap Success or Self-Surrender?" Dan Clendenin, The Journey with Jesus, 2012. 2009. "Stupid Disciple Tricks," Alyce M. McKenzie, Edgy Exegesis, Patheos, 2012. "A Right to an Answer?" Mark Ryan, Ekklesia Project, 2012. "Invitation to the 'Suffer' Club," Sharron R. Blezard, Stewardship of Life, 2012. 2009. "Do for Us Whatever We Ask," Michael Coffey, 2012. "The Alchemy of Suffering," "Cup of suffering," Suzanne Guthrie, Soulwork toward Sunday: At the Edge of the Enclosure, 2012. "Playing to Win," Linda Fabian Pepe, Theological Stew, 2012. "Everyone needs an enemy!" Peter Woods, I am listening..., 2012. "The Son of Poverty," Peter Lockhart, A Different Heresy, 2012. "Backseat Drivers," Miriam's Tambourine, Memphis Theological Seminary, 2012. Liberal Lectionary Resources, Pentecost 21, Nancy Kraft, Mary Lautensleger, 2012. "Being First," Melissa Bane Sevier, Contemplative Viewfinder, 2012. "The Mechizedek Way," Preacher Rhetorica, 2012. Lectio Divina Podcast, Todd Spencer, 2012. "The Way of the Servant," Robert Cornwall, Ponderings on a Faith Journey, 2012. Sacredise, Proper 24, Commentary and Lectionary Worship Resources, John van de Laar, 2012. "From the Whirlwind," Rick Morley, 2012. "Behold," Katie Munnik, Presbyterian Record, 2012. "Jesus' Call to Servant-hood," the Rev. Dr. Janet H. Hunt, Dancing with the Word, 2012. "Who's On Last?" Larry Patten, 2012. "The Unknowable Shape of Things to Come," Brian Volck, The Ekklesia Project, 2009. "Sons of Entitlement," Stephen B. Chapman, 2006. "What God Wants," Thomas G. Long, 2006. "Parking Lot Palms," Stephen Paul Bouman, 2003. "Mark: The Movie," Stacey Elizabeth Simpson, 2000. "On Being a Survivor," William Willimon, 1986. "Learning Obedience," Martin L. Smith, When Your Bible Reads You, 2012. "In Crisis," Robert Roth, "Integral Faith," 2006. "Sharing in the Glory," Michaela Bruzzese, "Sharper than a Sword," 2003. "Quantum Physics and the Nature of Eternity," Nicholas Knisely, Day1, 2015. "Job: A Tale of Sound," third in a series by Amy Butler. A Sermon for Every Sunday. Free audio, video by subscription. "Drink the Cup Jesus Drinks," the Rev. Ben Helmer, Sermons that Work, Episcopal Digital Network, 2015. "Job," Frederick Buechner Sermon Illustrations. "The Drum Major Instinct," Dr. Martin Luther King, Jr., Ebenezer Baptist Church, 1968. "Good News?" Bishop William H. Willimon, Day 1, 2009. "Key to the Outside," the Rev. Dr. Robin Meyers, Day 1, 2006. Estudia deLa Biblia Propio 24, Sermones que Iluminan, Episcopal Digital Network, 2015. "Great Service/Power to Serve" Weekly Seeds, UCC, 2015. "Ignoring our Instincts," Faith Element, 2015. "Questions for Answers," Faith Element Discipleship System, "Setting the Bible Free," 2012. LCA Worship Planning Page, Pentecost 21, 2012, "Everything lay-readers need to prepare worship." Mustard Seeds, "Looking at the Bigger Picture," Proper 24, 2015. A lectionary-based ideas resource for leaders of contemporary worship, Ann Scull, Gippsland, Australia. Liturgy for the Celebration of Life, Pentecost 21B, 2012. Liturgies from a Progressive/Post-Liberal Theology, Revd Rex A.E. Hunt, Uniting Church in Australia. Lectionary Liturgies, Ordinary 29, 2015, Thom M. Shuman, Presbyterian Church (U.S.A.). Lector's Notes, Ordinary 29, Gregory Warnusz, Saint Jerome Parish, Bellefontaine Neighbors, MO. Notes and commentary for those reading this week's lectionary texts to the congregation. "Liturgy: prayers reflection," reflections on the collect at the Eucharist, NZPB, (TEC BCP USA) (Common Worship C of E) Rev. Bosco Peters, New Zealand. Weekly Worship Prayers, Reclaim Resources, 2015. Liturgy Link, resource sharing, 2015. The Timeless Psalms: 104:1-9, 24, 35c, Joan Stott, prayers and meditations based on lectionary Psalms, 2015. HermanoLeón Clipart, Ordinary 29B. Free clipart, backgrounds, slides, etc. 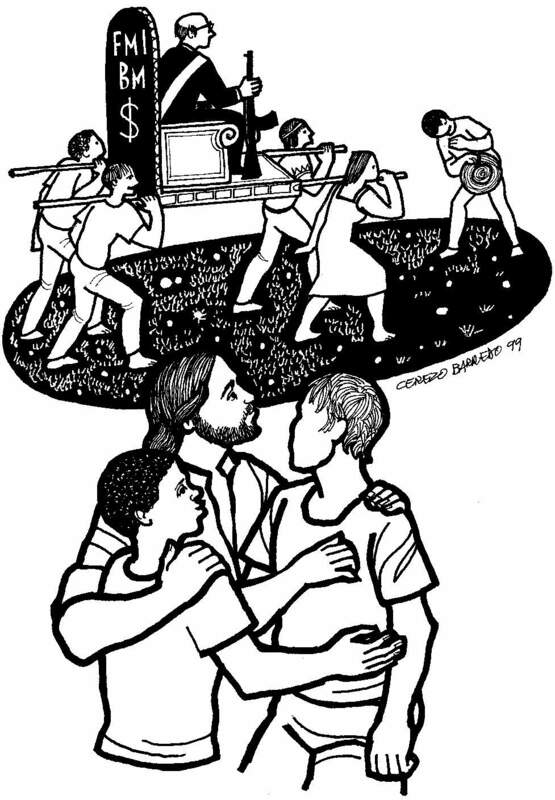 Clip Art Images: Mark 10:35-45, Misioneros Del Sagrado Corazón en el Perú. Clip Art, Ordinary B29, Fr. Richard Lonsdale, Resources for Catholic Educators. "Is It Possible to Govern 'Biblically'?" Matthew L. Skinner, ON Scripture, Odyssey Networks, 2012. Video: Rev. Dr. James A. Forbes, Jr.
"High Priest," Brenton Prigge, tune: Londonderry, New Hymn, 2006. Hymns of the Spirit Three, Proper 24B, Richard E. Hurst, Universalist National Memorial Church. Psalm settings by Dale A. Schoening, Metrical Psalms: Psalm 104:1-9, 24, 35c set to St Thomas or Festal Song (SM), Psalm 91:1-2, 9-16 set to Finlandia (11 10 11 10 11 10). Hymn and Song Suggestions, Proper 24B, 2015, annotated suggestions from Natalie Sims, Singing from the Lectionary. Shepherd Sounds, Pentecost 21. Background information for hymns and choral music following the lectionary from the Episcopal Church of the Good Shepherd, Austin, Texas, by Eric Mellenbruch and David Zersen. Lectionary Hymns, Ordinary 29B, National Association of Pastoral Musicians. Choral Anthem Project, Ordinary 29B, National Association of Pastoral Musicians. Sing for Joy, Lectionary 29, 2009. Choral reflections on this week's lectionary readings, St. Olaf College. Worshiping with Children, Proper 24, 2015, Including children in the congregation's worship, using the Revised Common Lectionary, Carolyn C. Brown, 2012. Playing Cards, Dollar Store Children's Sermons, 2015. "Spectacular Building," Frances Woodruff, On the Chancel Steps, 2012. Ministry Matters, October 21, 2012. Mustard Seeds, "Looking at the Bigger Picture," Proper 24, 2012. A lectionary-based ideas resource for leaders of contemporary worship, Ann Scull, Gippsland, Australia. Story for Children's Worship and Family Activity, Ordinary 29, at word-sunday.com: A Catholic Resource for the Lectionary by Larry Broding.